For over 30 years Graphics Unlimited has built its reputation in the sign manufacturing business on three principles: innovation, commitment to the customer, and hard work. Joel Perry, the company’s founder, started out with a paint brush, some chisels and a vision. He launched Graphics Unlimited in 1988 in Putnam, CT the same year that his son Aaron was born. Both events marked the beginning of something great. Graphics Unlimited later moved a couple miles up the street to Pomfret, CT and was there for 25 years providing complete sign, vehicle lettering, awning and architectural metal design and fabrication services to customers throughout South Central Massachusetts, Eastern Connecticut and all of Rhode Island. 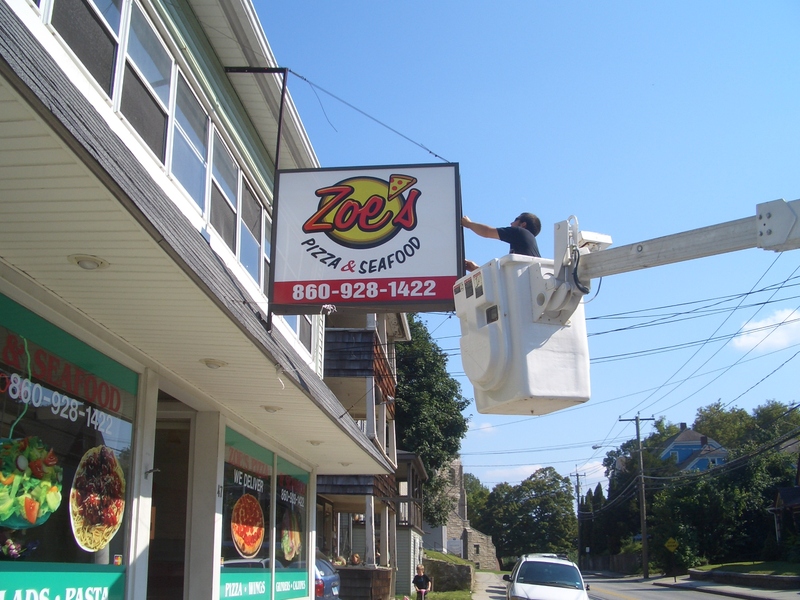 Looking to expand Joel recruited his wife Ruth to join his company and together they opened a second location in nearby Dudley, MA in 1997. Today the couple is joined by their sons Travis and Aaron along with several of the area's finest craftsman. 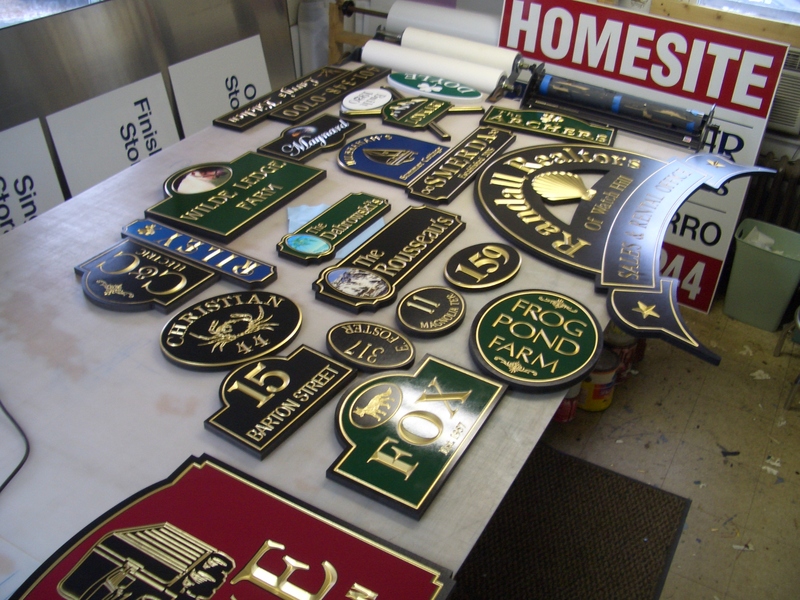 In 2005 Graphics Unlimited introduced a new product line named New England Carved Signs. Today our craftsmanship skills and artistic talent have merged with modern electronic technology and long lasting maintenance free materials to produce some of the most creative, beautiful, heirloom quality carved signs in a fraction of the time and at a fraction of the cost of traditional hand carving of wood signs. 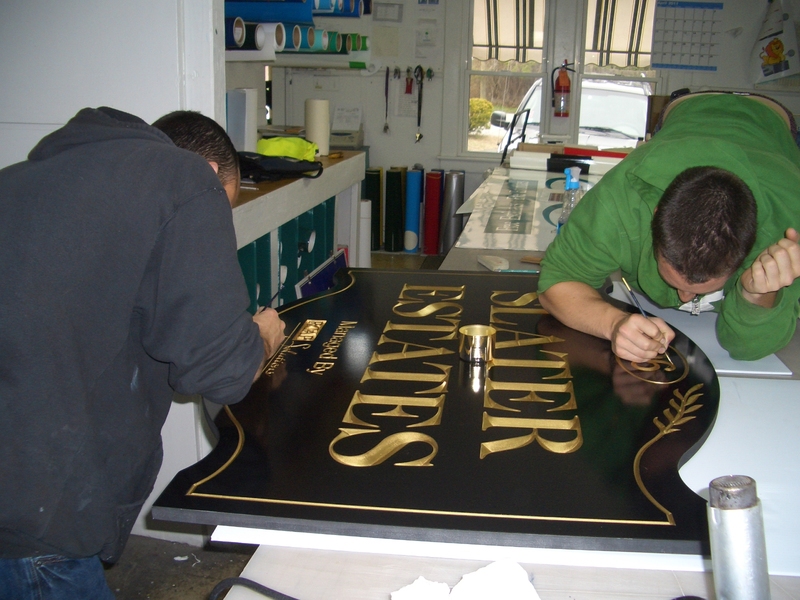 New England Carved Signs has grown to be the leading "wholesale to the trade only" manufacturer of carved, sandblasted and dimensional signs in the nation. The growth of the company has resulted in the return to Putnam, CT and the opening of their newly constructed 6,000 sq. ft. facility which features the latest in automated CNC machines, an Acudraft spray booth with mixing room featuring Matthews paints and a walk-in sandblasting room. There is a clean assembly room for awning fabrication that doubles as a designated garage for vehicle lettering and wraps and a larger garage that will accommodate a 53’ trailer. There is also a print room with a 54’’ Roland printer, plotter and laminator and a showroom with sales desks with work stations that customers can sit and work with our designers. This new facility allows us to be efficient and streamline the production process making GU and NECS competitive in both the wholesale and retail arenas. As the second generation takes the helm of our company we will continue to seek new ways to help customers build their businesses through the use of effective custom signs and marketing. We will strive to build relationships with new customers while maintaining our valued partnerships with our established clients. "There will never be a shortage of customers who will need signs so long as there are individuals who want to live the American Dream and own their own business." REAL TRAIN CARS OWNER - FOR REAL! ALWAYS HIRING THE BEST PEOPLE. SEND US YOUR RESUME TODAY.